Her story. One of many. Fran’s father died when she was 15, ending years of sexual abuse. But it didn’t end the damage that was done to her sense of worth and self-esteem. At 17, she started drinking… first to numb her painful childhood memories… then to ease the stress of striving to be the perfect wife and mother… and later to endure her relationship with a husband who provided everything but the love and affection she craved. “As I look back at it now, I was trying to feel better about myself,” she says. As her alcoholism escalated, her marriage ended. She struggled to hold a job. And her health severely declined. “I had a breathing tube… I couldn’t walk… I was deteriorating,” she says. 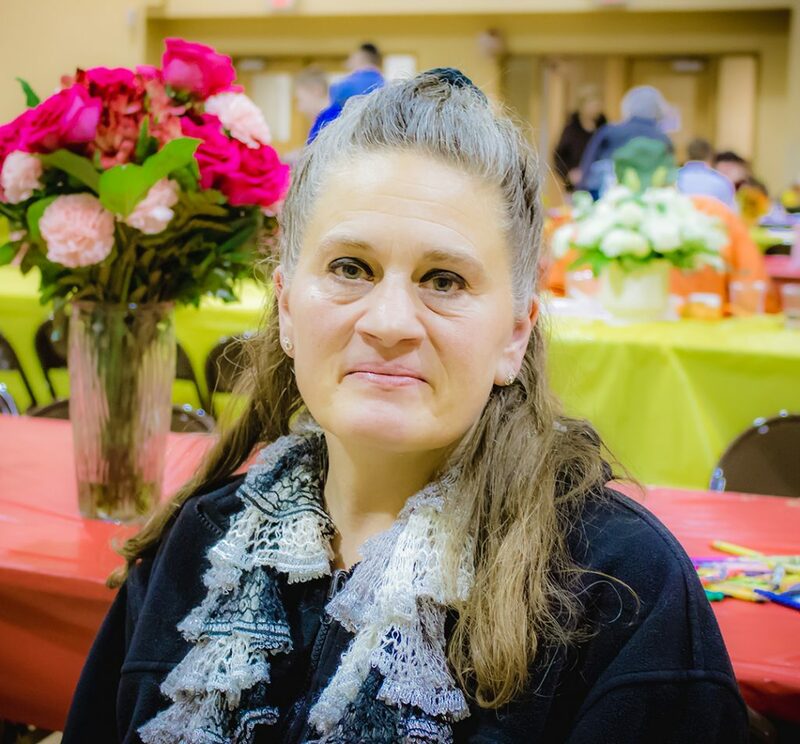 Alone and afraid, she prayed, “Oh, God, this has got to stop.” Vowing to get help before addiction claimed her life, she came to Rockford Rescue Mission. 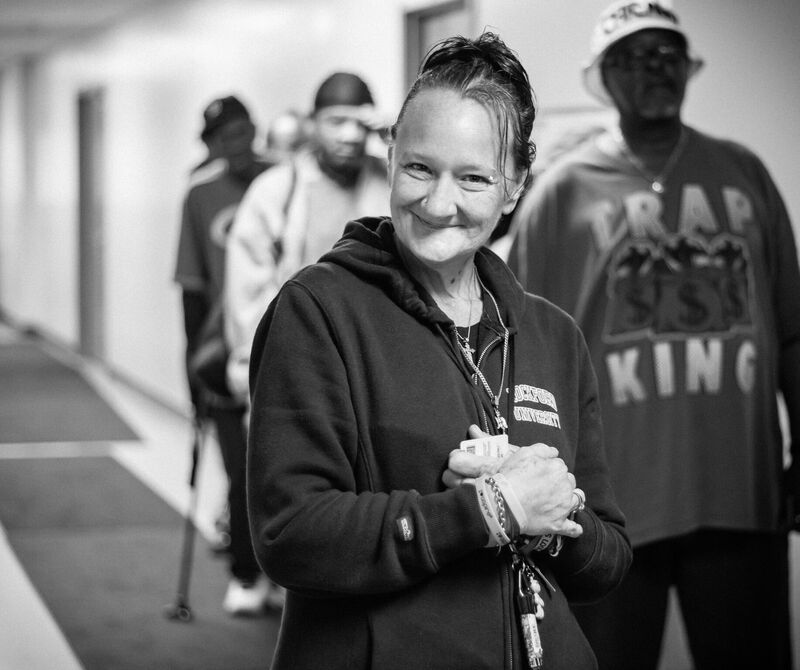 Now in our Life Recovery Program, Fran is learning to lean on the Lord and allow His love to fill the void in her heart. “The only way to heal is by talking to God, asking for His forgiveness and praying for others,” she says. And through the Mission’s partnership with RSAC (Rockford Sexual Abuse Counseling), she is discovering how to leave her painful past behind. “I’ve learned that you’ve got to put God first and foremost in your life,” she shares. Today, with the advocacy and assistance provided in our Works! Center, Fran is applying to nursing school and will soon fulfill a life-long dream of going to college. 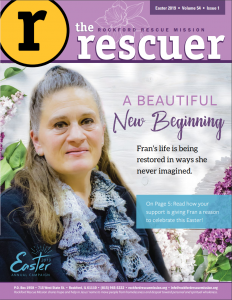 For the Easter 2019 issue of The Rescuer, click here. Fran’s story of hope and healing is inspiring. Our long-term recovery programs exist to help other men, women and children in the Rock River Valley find healing. Will you help provide this help to others?